Far Cry 5, the latest game by French video game company Ubisoft, has been one of the biggest games at this year’s E3 show no doubt. This is because Far Cry 5 is looking like it will offer the same explosive open-world gameplay as earlier games in the series, while the game will be taking place in the US state of Montana, which could end being a great setting for this upcoming first-person shooter. And as is the case with most major games these days, Ubisoft has revealed there will be several editions of the game, including a premium edition known as the “Hope County” Collector’s Edition. Those who decide to plump for this edition of the game will be able to enjoy a series of extras not included in the standard edition of the game. Amongst these is a colour map of Hope County, which is the fictional location in Montana where the game’s events will be taking place. There’s also a CD with the game’s original soundtrack, which will surely be a welcome bonus if Far Cry 5’s soundtrack is as good as that of earlier games, particularly Far Cry 4 (which won a BAFTA award for its soundtrack). This Collector’s Edition also features a nice Steelbook with the game’s disc inside. Also included is a Deluxe Pack, which adds a bevy of digital content to the game. These items are part of the “Big Game Hunter Pack”, which amongst other things includes an additional SUV for you to drive in the game and a fancy bow with which to strike your enemies down. There’s also the “Ace Pilot Pack”, including a new helicopter to pilot and an extra gun to use in the game, amongst other items. 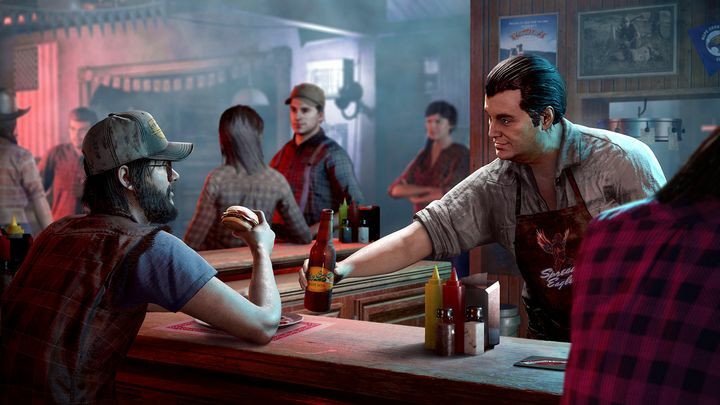 In addition, there will be extra consumable items, weaponry and outfits for your character to wear in the game not present in the standard edition of Far Cry 5, and also additional content and stories for you to enjoy. Also, this Hope County Collector’s Edition includes the game’s Season Pass, meaning all additional content released after the game is out will be available to you at no cost, including any expansion packs Ubisoft may release for the game after launch. 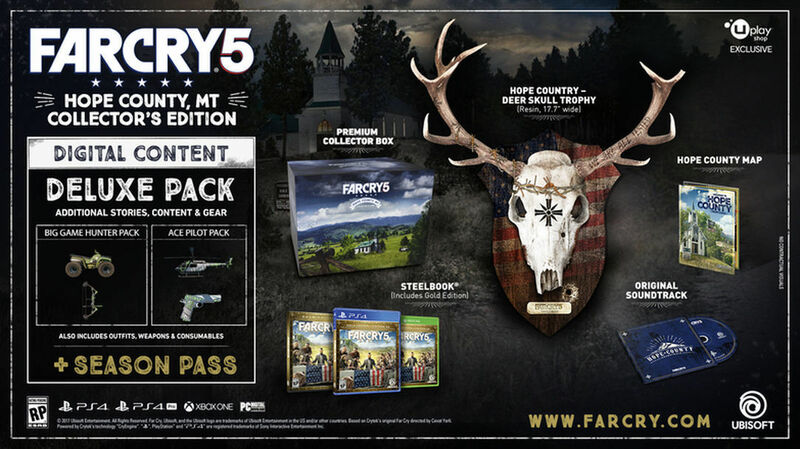 All the content of this Hope County Edition of Far Cry 5 comes in a premium collector’s box, and will retail for $180 in the US when the game hits shelves on February 27 this year.